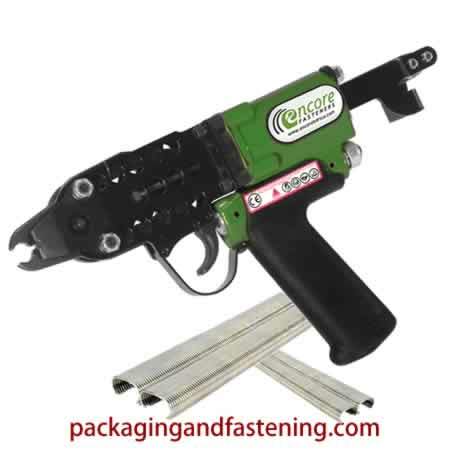 At PACKAGINGANDFASTENING.COM™, pneumatic C hog ring tools by encore HARTCO® and C hog rings are available for fastening a variety of wire to wire applications. Professionals demand, and Hartco's c-ring tools deliver, quality and durability. C-ring tool uses include construction of crab pots, erosion control, gabions, fencing, bagging, loop forming, bedding, seating, upholstery and other applicatons. Choose from a wide variety of 15 gauge or 16 gauge c-ring tools and c-rings on-sale! encore HARTCO® pneumatic C hog rings are available online. Choose C hog rings from our wide selection of galvanized and stainless steel hog rings today. Collated c hog rings including 16 gauge 1/2” open ring and 15 gauge or 16 gauge 3/4” I.D. open rings are available. 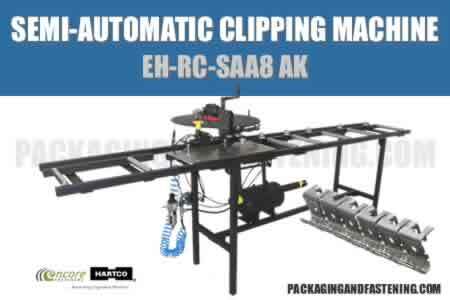 encore HARTCO® pneumatic C hog ring tools are available online. 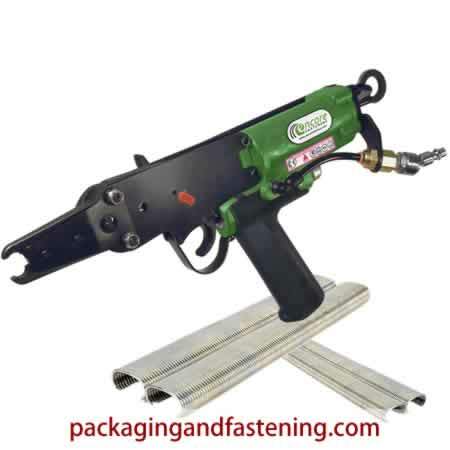 Choose from our wide selection C hog ring guns for your next ring fastening job. Check out durable Hartco C hog ring tools including 16 gauge 1/2” open ring and 15 gauge or 16 gauge 3/4” I.D. open ring tools now on-sale. 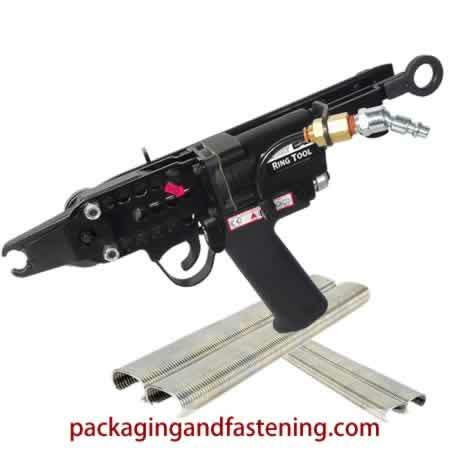 Get your pneumatic c-ring tools online for automotive seating, bedding, cages, packaging, bag closing, nursery root ball, gabion baskets plus more wire-to-wire fastening uses. 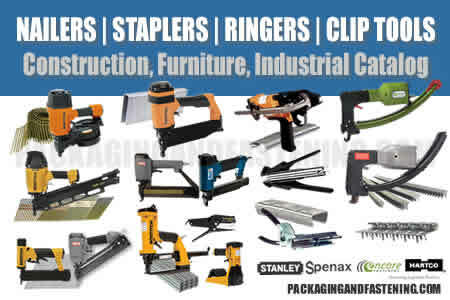 At packagingandfastening.com, we deliver econonmical, USA Made c-ring tools and c-ring fasteners online now. Order 15 gauge 3/4” c-ring tools online available at packagingandfastening now! Pneumatic, 15 Ga., 3/4" Open Ring, C Ring, 5/16" Min 27/64" Max I.D. Closure 2.8 lbs. per tool, 125 Ring Capacity. Pneumatic, 15 Ga., 3/4" Open Ring, C Ring, 3/16" Min 11/32" Max I.D. Closure, Tight Closure 2.8 lbs. per tool, 125 Ring Capacity. Pneumatic, 15 Ga., 3/4" Open Ring, C Ring, 5/16" Min 27/64" Max I.D. Closure, Extended Nose 2.8 lbs. per tool, 125 Ring Capacity. 15 Ga., 3/4" Open Ring, C Ring, 5/16" Min 27/64" Max I.D. Closure, Extended Nose 2.8 lbs. per tool, 125 Ring Capacity. C Blunt 15 Basic Brite 3/4" Hog Ring Fits RAC-1001, SC7, RAC-1002, SC7C, RAC-1004, RAC-1005, SC7E, RAC-1007, SC77XE, SC4LWH. 10000 Rings per Case, 17.0 lbs. per case, 1 box per case, 1 Case per unit. C Sharp 15 Basic Brite 3/4" Hog Ring Fits RAC-1001, SC7, RAC-1002, SC7C, RAC-1004, RAC-1005, SC7E, RAC-1007, SC77XE, SC4LWH. 10000 Rings per Case, 17.0 lbs. per case, 1 box per case, 1 Case per unit. C Blunt 15 Galvanized 3/4" Hog Ring Fits RAC-1001, SC7, RAC-1002, SC7C, RAC-1004, RAC-1005, SC7E, RAC-1007, SC77XE, SC4LWH. 10000 Rings per Case, 17.0 lbs. per case, 1 box per case, 1 Case per unit. C Sharp 15 Galvanized 3/4" Hog Ring Fits RAC-1001, SC7, RAC-1002, SC7C, RAC-1004, RAC-1005, SC7E, RAC-1007, SC77XE, SC4LWH. 10000 Rings per Case, 17.0 lbs. per case, 1 box per case, 1 Case per unit. C Blunt 15 Stainless 3/4" Hog Ring Fits RAC-1001, SC7, RAC-1002, SC7C, RAC-1004, RAC-1005, SC7E, RAC-1007, SC77XE, SC4LWH. 10000 Rings per Case, 17.0 lbs. per case, 1 box per case, 1 Case per unit. 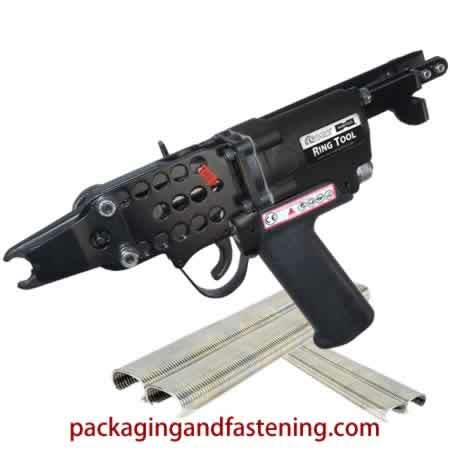 Order 16 gauge 3/4” c-ring tools online available at packagingandfastening now! 16 Ga 3/4" Open Ring, C Ring, 3/16"Min 11/32" Max I.D. Closure, Short Magazine 2.8 lbs. 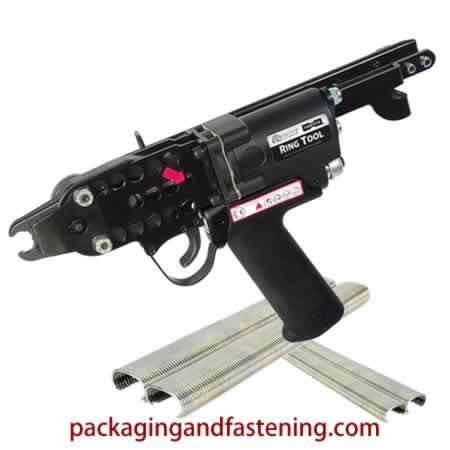 per tool, 110 ring capacity magazine. 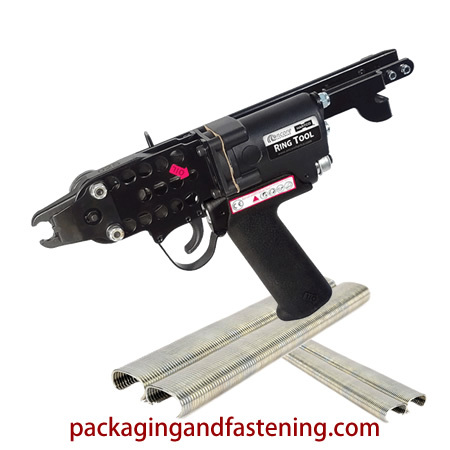 Order collated 16 gauge 3/4® c-ring tools online available at packagingandfastening now! C Sharp 16 Galvanized 3/4" Fits Encore Hartco RAC-1002, SC742, SC743, SC743SG 11000 15 lbs. per box, 1 box per case, 1 Case per unit. C Blunt 16 Galvanized 3/4" Fits Encore Hartco RAC-1002, SC742, SC743, SC743SG 11000 15 lbs. per box, 1 box per case, 1 Case per unit. C Sharp 16 Stainless Steel 3/4" Fits Encore Hartco RAC-1002, SC742, SC743, SC743SG 11000 15 lbs. per box, 1 box per case, 1 Case per unit. Order 16 gauge 1/2” c-ring tools online available at packagingandfastening now! 16 Ga 1/2" Open Ring, C Ring, 1/8"Min 7/32" Max I.D. Closure 3.3 lbs. per tool, 145 Ring Capacity. 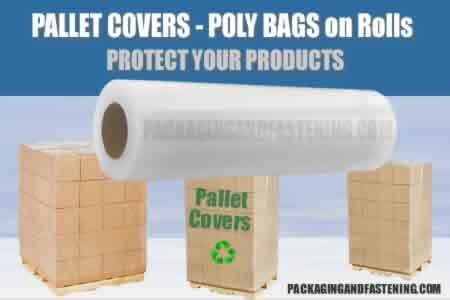 Small to Large Bag Closure, Bag Liner Closure, Oil Absorption Socks, Small Diameter Auto Control Cables, Bungee, Caging, Insulation, Cargo Nets and Small Rope. Order collated 16 gauge 1/2” c-rings online available at packagingandfastening now! C Sharp 16 Galvanized Hog Rings, 1/2" fit encore HARTCO RAC-1003; Stanley Bostitch / Spenax SC760, SC760CT, SC761 Ring Tools, 10000 hog rings per case, 10.0 lbs. per case, 1 box per case, 1 Case per unit. C Blunt 16 Galvanized Hog Rings, 1/2" fit encore HARTCO RAC-1003; Stanley Bostitch / Spenax SC760, SC760CT, SC761 Ring Tools, 10000 hog rings per case, 10.0 lbs. per case, 1 box per case, 1 Case per unit. C Sharp 16 Stainless Steel Hog Rings, 1/2" fit encore HARTCO RAC-1003; Stanley Bostitch / Spenax SC760, SC760CT, SC761 Ring Tools, 10000 hog rings per case, 10.0 lbs. per case, 1 box per case, 1 Case per unit. C Blunt 16 Steel Hog Rings, 1/2" fit encore HARTCO RAC-1003; Stanley Bostitch / Spenax SC760, SC760CT, SC761 Ring Tools, 10000 hog rings per case, 10.0 lbs. per case, 1 box per case, 1 Case per unit.